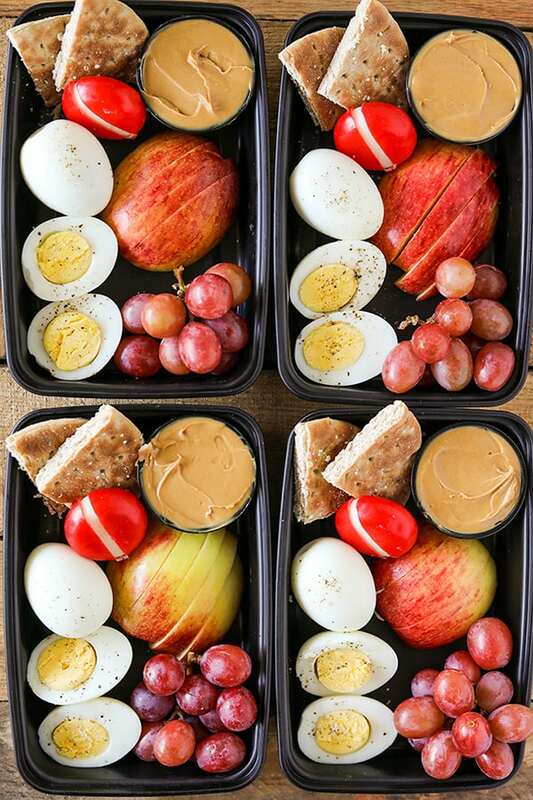 You may already have a lot in your plate during mornings, even too much that you don’t have time anymore to prepare these meals. Thankfully, there are recipes that you can make in less than an hour! 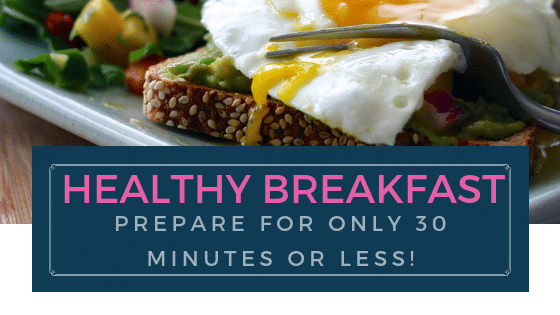 In just 30 minutes or less, you can have a healthy breakfast. And when you do, you avoid the sugar rush that will just leave you hungry a couple of minutes later. Even if you are sprinting out of the door, you can be confident that you won’t go hungry because you have a delicious and filling meal in your bag. 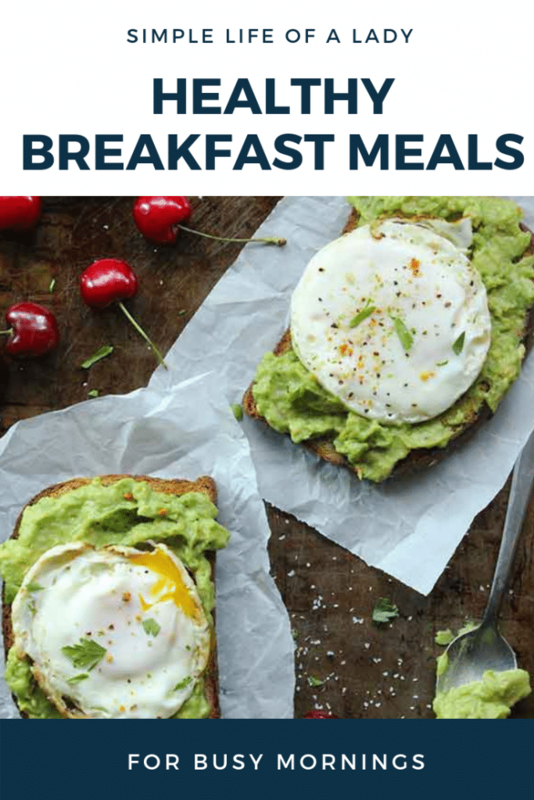 So without much ado, here is a collection of breakfast recipes that you can prepare in just 30 minutes or less! By the way, Prep Time in this post represents the TOTAL time (prep time and cook time) it takes to make the food. To get the complete recipe for each meal, click the link back to the original source, just under each of the images. 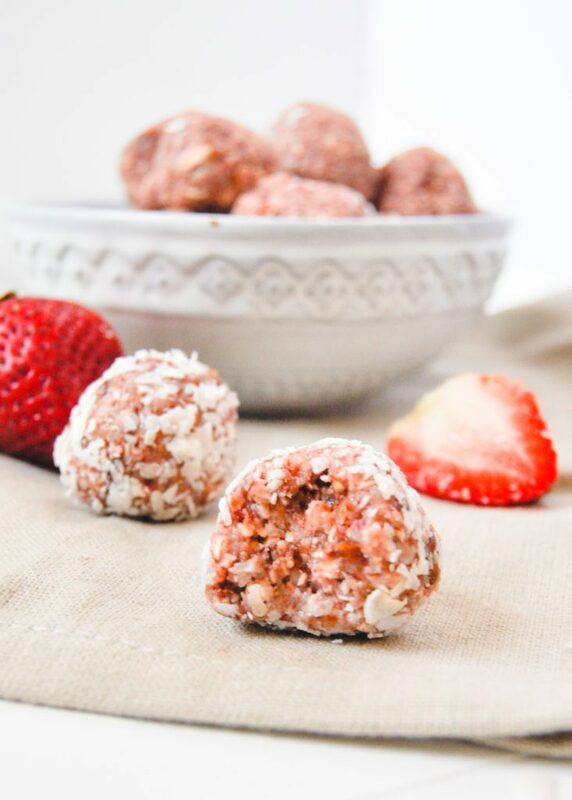 I love that this is a no-bake recipe! If you have a food processor or a blender, you can make this for snacks, dessert, and of course, for a quick breakfast, without the additional time needed for baking. All you need are just five ingredients. You don’t have to go to Starbucks to enjoy its delicious and nutritious breakfast. You can make one at home! All that’s needed is to prepare its ingredients and stuff them in your meal prep containers. 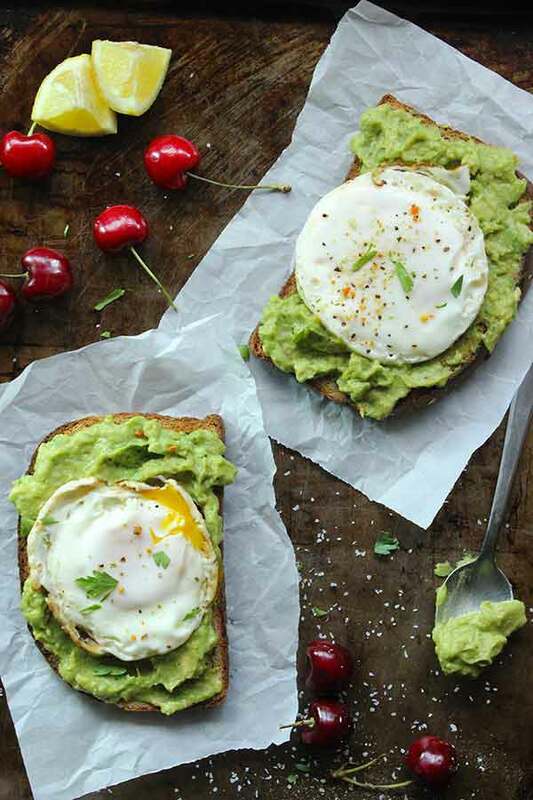 I am a big fan of avocado and sunny side up, so this is my favorite in this healthy breakfast collection. Avocado is a super fruit! Among its nutrients is potassium which prevents heart attack and kidney failure. Apart from its high antioxidant content, it helps the body in further absorbing antioxidants from other foods. If you love eating raw avocado as is for breakfast, this is a very nice twist that you absolutely don’t want to miss! First, prepare your toast and cook the sunny side up egg. Then peel and mash the avocado and spread it on the toast. Top it with the egg and you’re done! Are you a fan of burritos? Hmmm…. 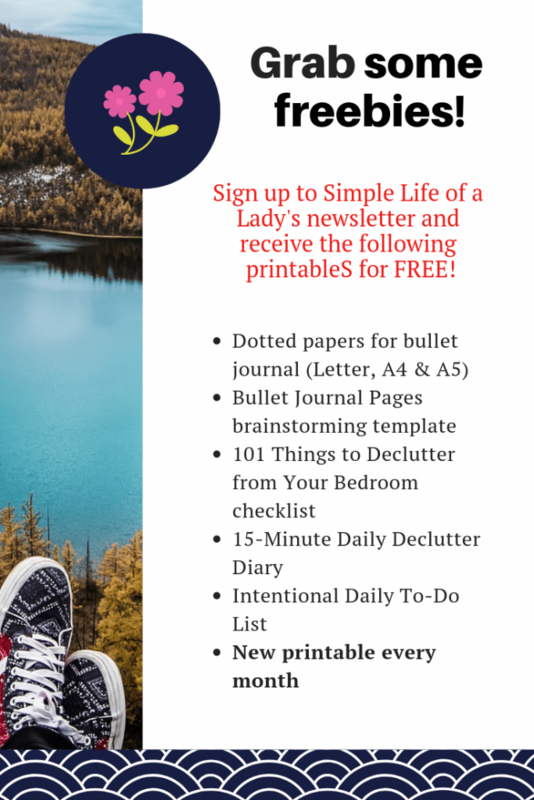 you’re going to love this! Like the previous recipe, it also has avocado and eggs. If you don’t want to include cheese, that’s okay. Some have tried this without the cheese too, and the taste was still so good! I love brownies and this looks like it… in a healthy way. 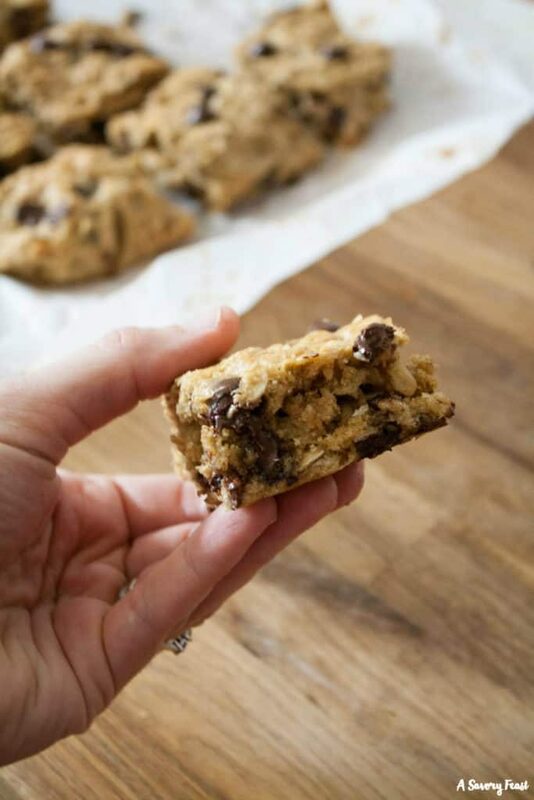 These breakfast bars are made of oats, peanut butter and chocolate chips. As for the sweetener, Jenna used maple syrup, so there’s no sugar added, which is really great for any diet. Now the chocolate chips contain sugar of course. But since you will only be using a little of it, I think that won’t hurt. However, if you are strictly on a no-sugar diet, you can always choose the organic and unsweetened dark choco type for absolutely no sugar. Peanut butter is very tasty and I really love it, but it’s not for everyone. Thankfully, there are alternatives that are also healthy. One of that is sunbutter! Sunbutter is made of sunflower seeds. According to a study, this has more unsaturated fat, magnesium and Vitamin E than peanut butter. All you have to do in this breakfast is to first toast the bread then spread it with sunbutter. 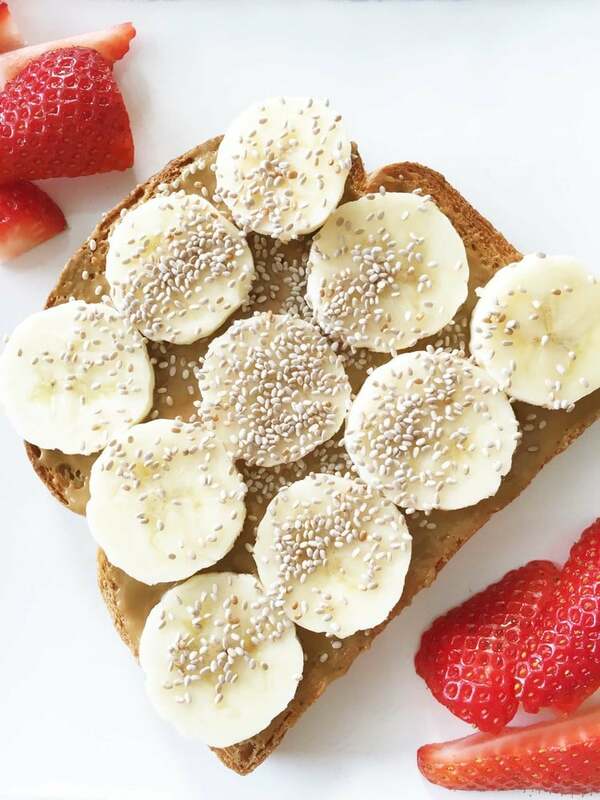 Top it with sliced banana and chia seeds. For the bread, I always choose and recommend whole grain or whole wheat because it’s very high in fiber. It also contains more vitamins and minerals than white bread, even if the white bread label says enriched. Bananas contain lots of Vitamin C so it sure makes your immune system stronger. Plus, it has manganese which is very good for your skin. It’s also low on sodium but high in potassium – this combo is very good for your heart and blood pressure. Chia seeds are a great source of protein and omega-3. It aids in digestion and protects the skin. If you’re on the weight loss journey, it helps a lot too! 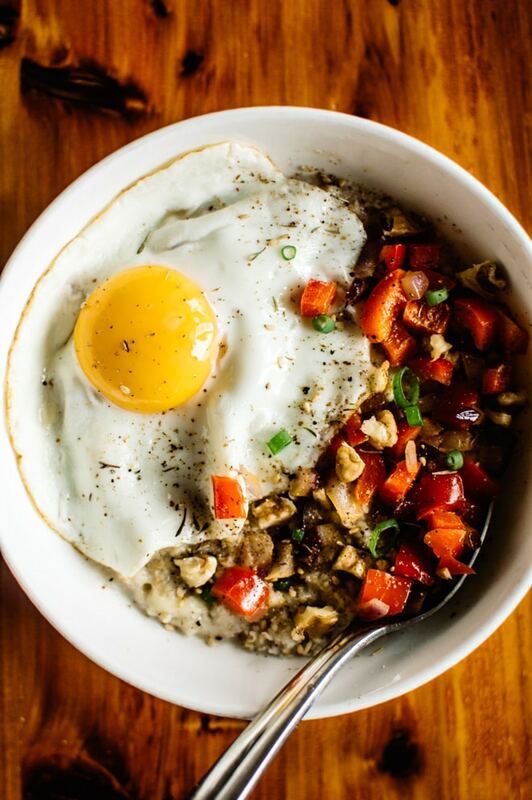 Savory… cheesy… with fried egg on top – that’s what you get in this breakfast meal! When I eat oatmeal, I usually put chocolate in it, instead of healthier choices like egg and cheese. I knew there were healthier ways to eat oatmeal, but I want something that is not bland and boring. Looks like I already found one! What interests me about this recipe is that you’re going to stir in the cheese while cooking the oatmeal. So it’s going to melt, making this breakfast really cheesy. Then the fried egg is a very nice addition, especially when the egg yolk is still runny. Even better, you can top it with walnuts, green onions and vegetables of your choice! Here’s another oatmeal recipe that you will definitely love! 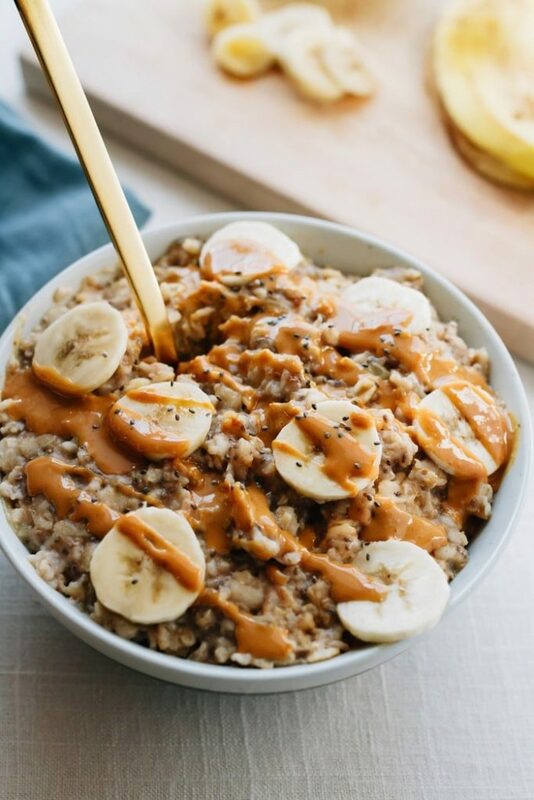 It’s loaded with bananas and chia seeds, topped with peanut butter! You can eat lots of it without feeling guilty or being afraid that it might make you gain weight because well… this is oatmeal. And you can’t go wrong with banana and chia seeds combo! So if you want more volume for the oatmeal, just add more water or milk to it. Here’s another way to enjoy your breakfast toast! Judging by the looks, you might think that it’s just the usual sunny side up on bread with a few arugula leaves for garnish. Well… there’s actually more to it. 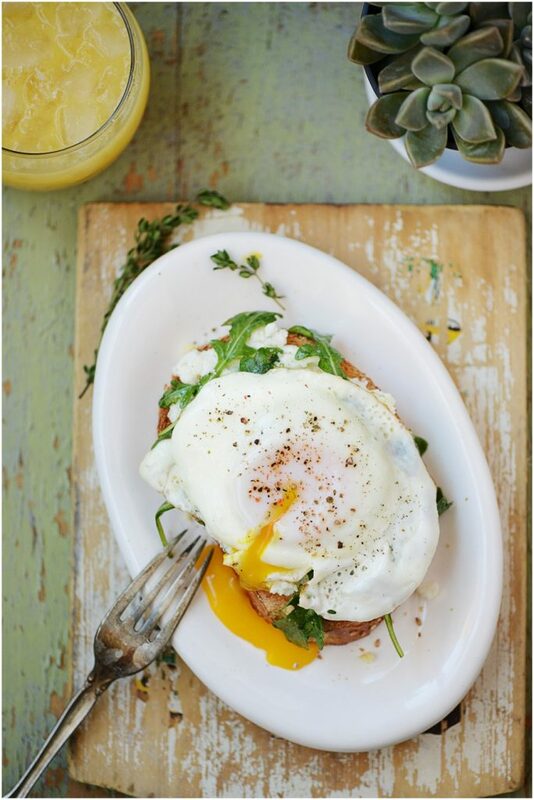 The toast is topped with ricotta mixture and arugula, then the egg on the very top. Ricotta is a low fat cheese, so you should not worry about the fats that you may get. Arugula is a leafy green, and like any other leafy green, it lowers your risk of getting cancer. It also contains Vitamin K which is essential for bone health. Spinach is a superfood. It helps in diabetes management, prevents cancer and asthma and contributes to a healthier skin and hair. 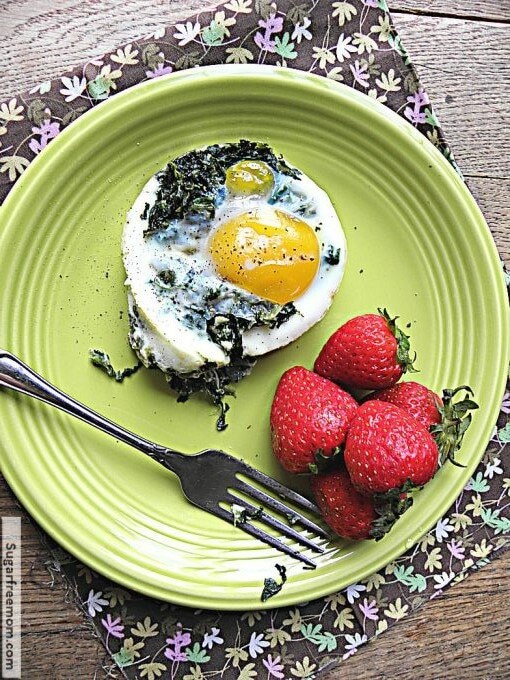 This recipe is a fun way of eating spinach with egg and it’s very easy to do! First, saute the spinach and cheese. Then put the mixture in a muffin pan or ramekin, and crack an egg into it. Bake for 15 minutes. Now if you want your spinach fresh (not sauteed), that’s another option which you are of course free to do. 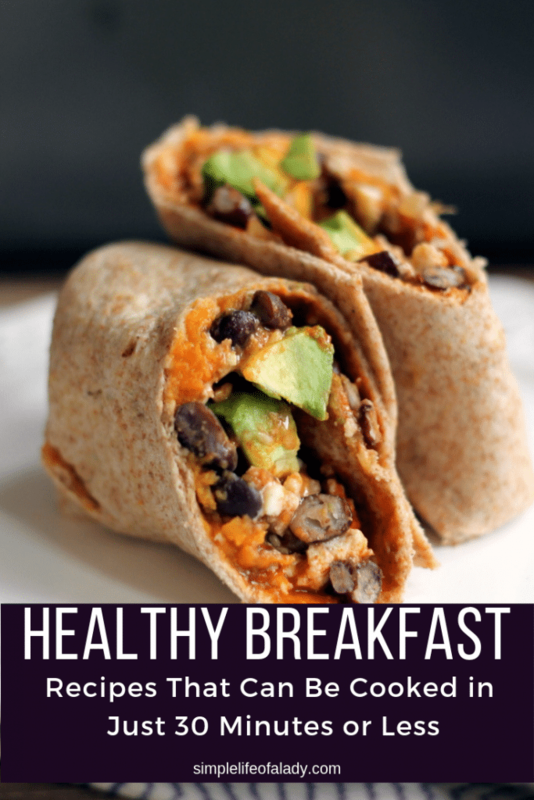 You can make this as breakfast on the go. 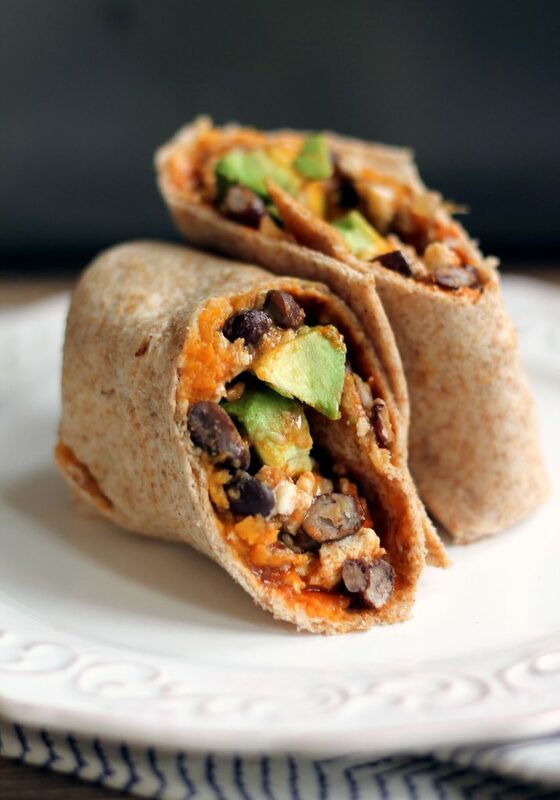 Your kids will love it and I bet you will too, not only because it’s tasty and healthy, but basically because it is less messy to eat than scrambled eggs in burrito. You will have to cook the eggs in a pan that is identical in diameter with the tortilla that you’re going to use. This makes it easier when you roll it. 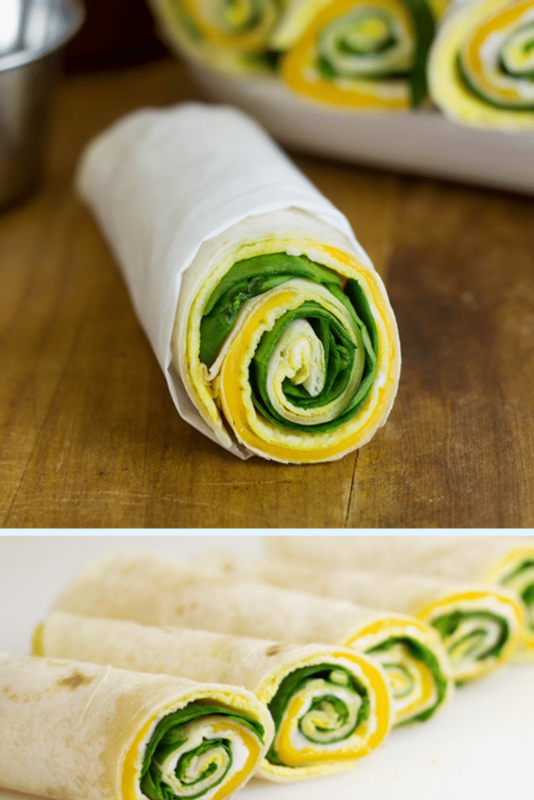 Then put the spinach and cheese inside, and roll it! Plan your breakfast the day before. These recipes are very easy and fast to make but you need to have all the ingredients ready first. This takes preparation. One of the best things you can do is to plan your breakfast the day before. 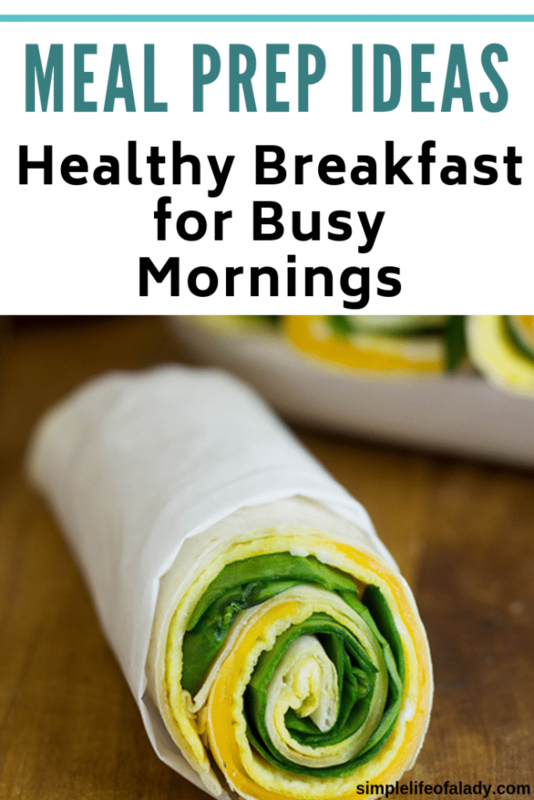 It’s even better if you can plan a whole week’s breakfast, along with lunch and dinner. Now when it comes to the prep time, you can shorten it even more by getting your ingredients ready, like chopping your veggies, the night before. And if you want to take meal preparation to the next level, be sure to check out the Healthy Meal Planning Bundle. Hi Red! Thanks for your comment! I’m glad you liked it!